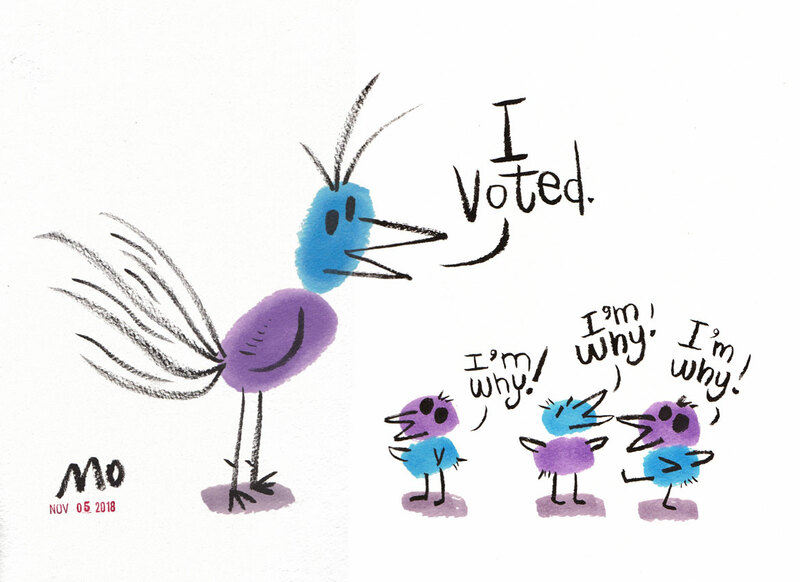 Mo Willems has won Caldecott Honors three times for his picture books for children—beginning with 2003’s “Don’t Let the Pigeon Drive the Bus!”—and Emmys six times for his previous work as a writer and animator for “Sesame Street.” But for the creator of “Elephant and Piggie,” “Knuffle Bunny” and the loveable, hysterical Pigeon, 2018 was a very bad year in politics. 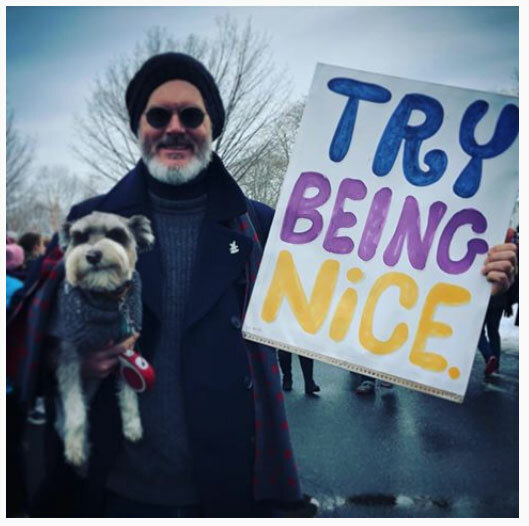 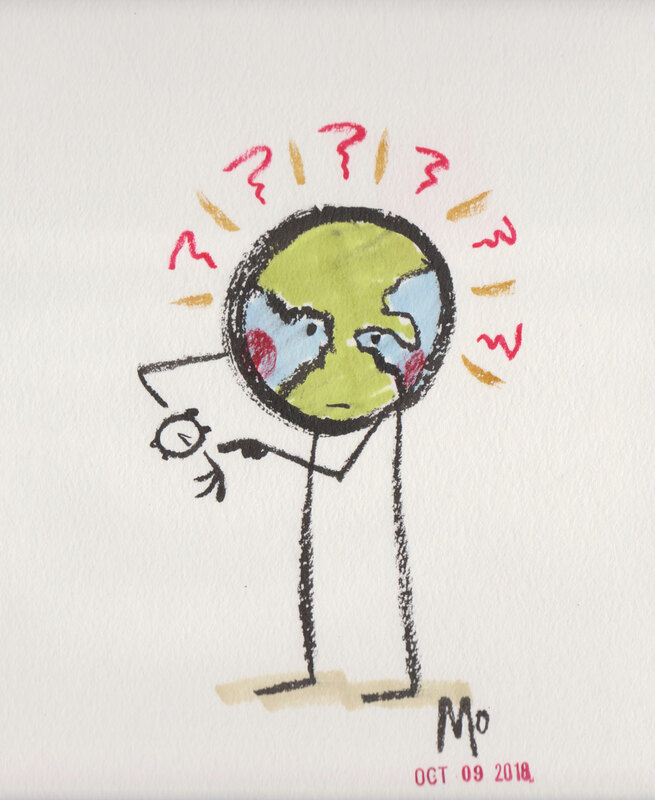 The evidence is in “Try Being Nice: Illustrated Reflections & Protest Signs From 2018,” the Northampton author and illustrator’s exhibition at R. Michelson Galleries in Northampton from March 1 to 31, 2019. 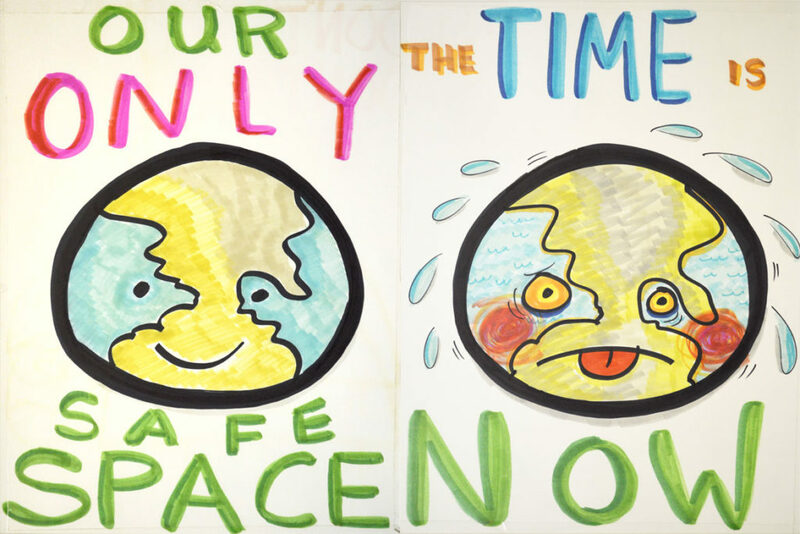 There are also signs Willems created for protests he attended in support science and environmentalism. 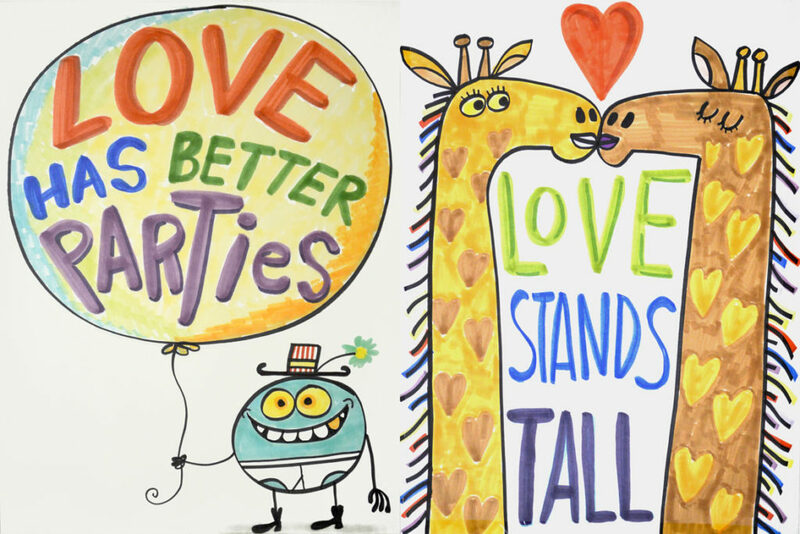 Double-sided posters read “Love Has Better Parties/Love Stands Tall,” and “Try Being Nice, Look What You Did To Mom” with a picture of a sad earth. 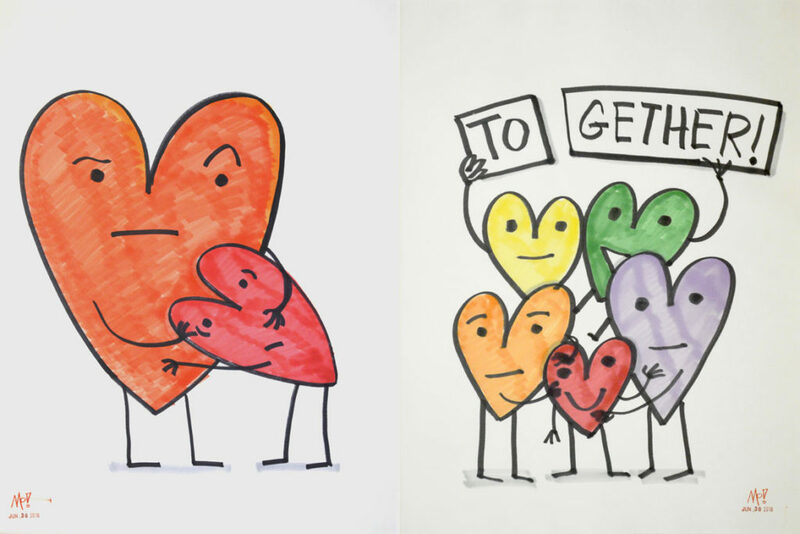 But the drawings suggest much about the past year left Willems burned out and broken hearted. 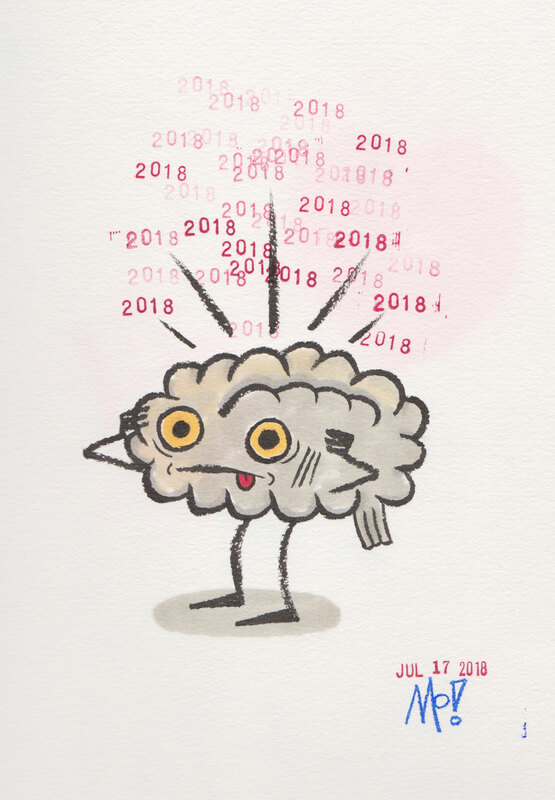 One drawing just shows “2018” dumped into a trashcan.